A tactical collar will maximize the performance of your animal, whether you're engaging in military, law enforcement or security operations — or even if you have a hunting dog you need to control while you're in the wild. 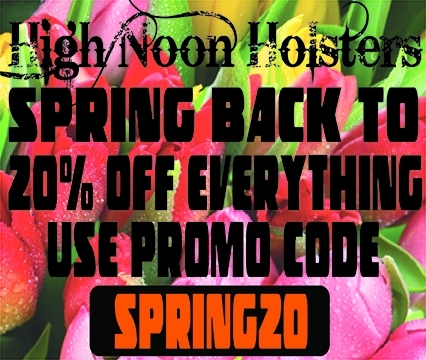 High Noon Holsters is your one-stop headquarters for superior K9 tactical collars that will prove invaluable during training or when taking your animal into the field. 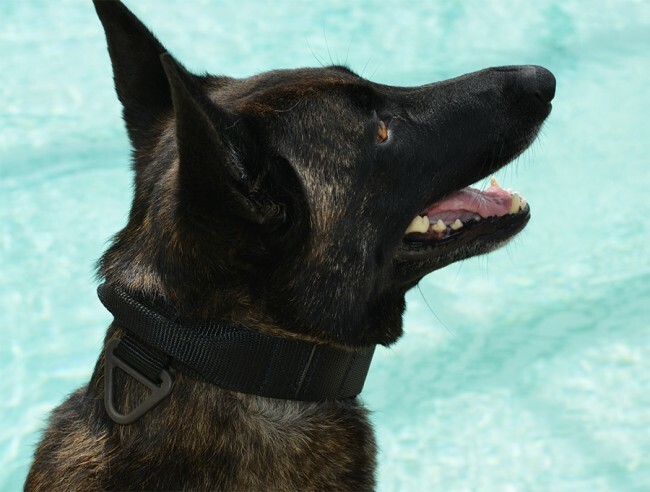 Our Tactical K9 Collar is the best on the market. 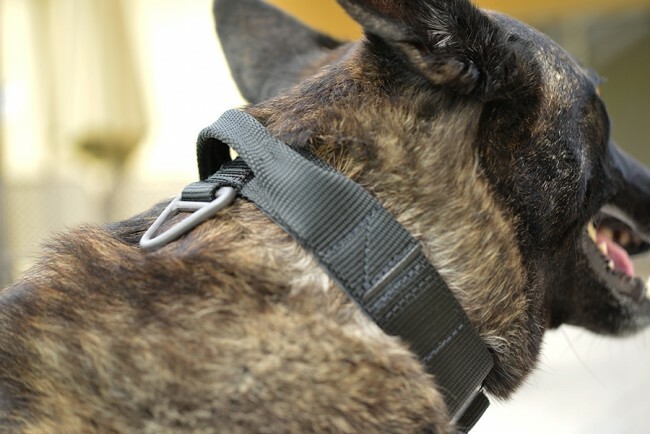 Each collar is made of the highest quality 1 ½” nylon webbing with a breaking strength of 5,600 lbs. Some companies advertise mil-spec webbing but what they forget to tell you is that mil-spec webbing is a thin, tight, and coarse weave. This can cause problems around the neck of your K-9. 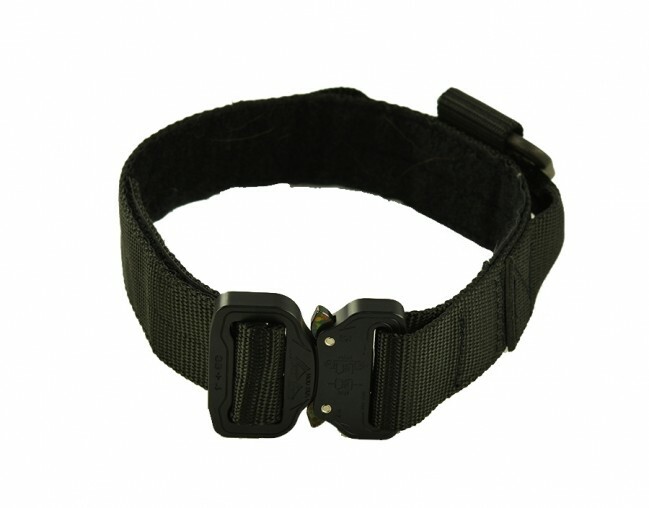 Our tactical K9 collar exceeds the breaking strength of mil-spec and is a loose weave. This collar is more comfortable for your K9 and is just as rugged. Only the best for your K9! 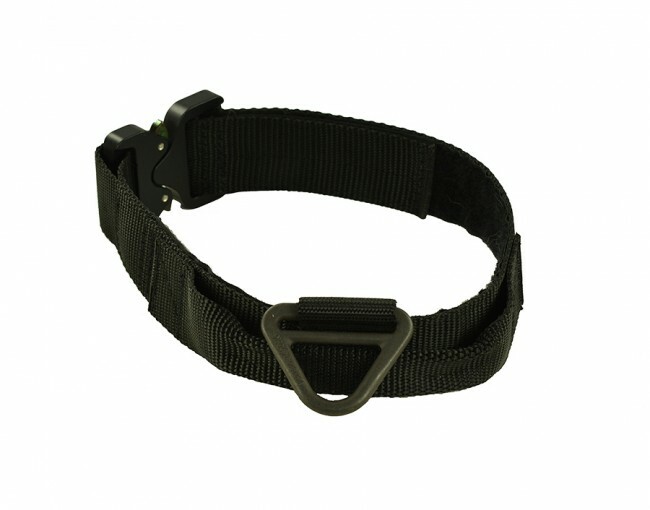 Our tactical K9 collar has the best buckle on the market. Used by NASA, the Cobra buckle quick releases are, without equal, the safest, most finely crafted, and strongest load-bearing buckles available anywhere. They are also the only stab-lock style fastener in the safety products market that will not open while under load. Only the best for your K9! 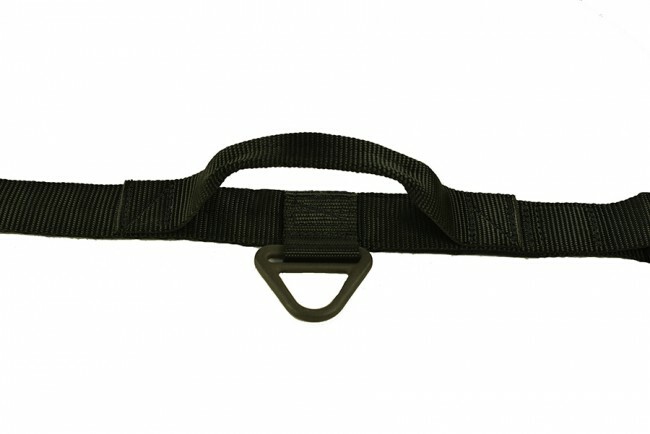 The Tactical K9 Collar also comes with a reinforced handle for close control of your K9 as well as the Triangle Ring (found on military parachute gear) for attaching your lead. Only the best for your K9! We offer this collar as a one size fits all – standard measurement ranges are 16” – 25”. Custom sizes are available, so feel free to call to discuss your requirements, and we'll do our best to accommodate you. Our more than 20 years of experience ensures we will deliver results that will exceed your expectations. 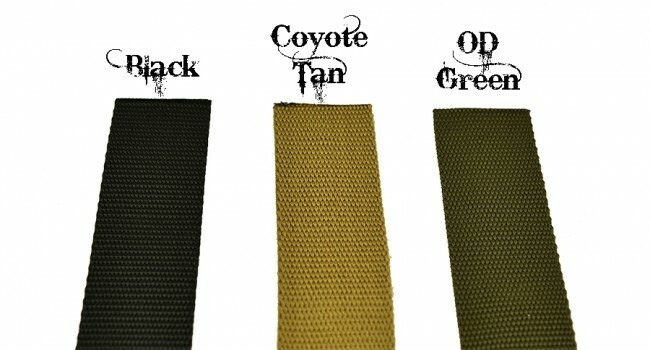 We also offer three color choices — Black, OD Green, and Coyote Tan — to meet your style preferences. Finish out your tactical K9 gear with our K9 Tactical Lanyard and either the K9 Tactical Nylon Leads or the popular K9 Tactical Rope Lead. 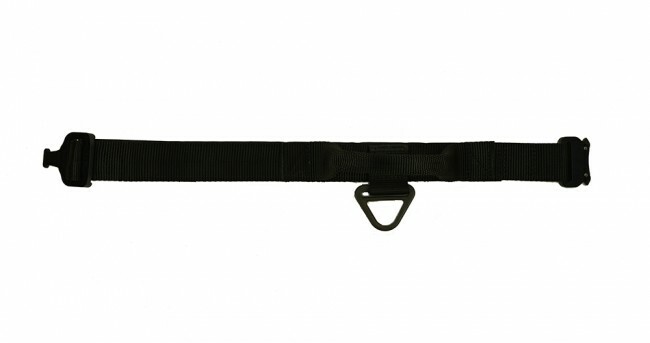 You can find other tactical gear for your K9 on our website. 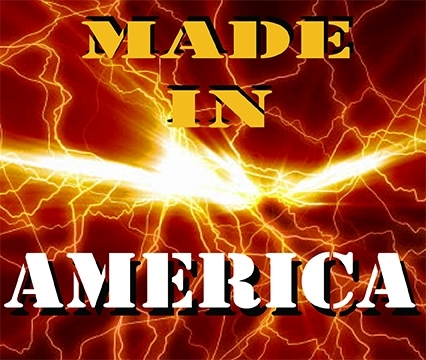 Our collars are made right here in the USA and are used by our military’s finest elite K-9s as well as our Border Patrol Agents and law enforcement agencies. These organizations all require products that deliver reliable results when it comes to quality and performance — they trust our proven track record of success, and you can, too! It's all part of our commitment to providing only the best products to achieve our goal of 100% customer satisfaction. Our streamlined, user-friendly e-commerce site eliminates the hassles when purchasing products online. Start by adding the items you wish to buy to your wish list — you'll discover how easy it is to locate what you need. You can then complete your transaction using our secure checkout process. Select the payment method that works best for you. Available options include Visa, MasterCard, Discover, American Express and PayPal. 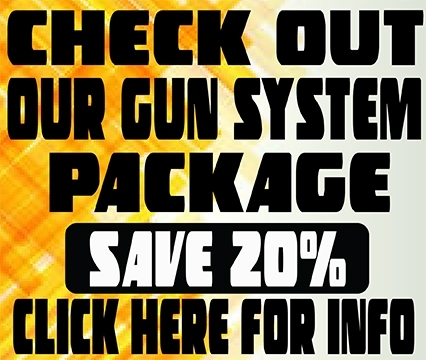 If you want your K9 tactical gear in a hurry, we can make it happen! We can typically ship in-stock items within one to five days. As you might expect, custom-made products take longer — although, with our rush service, you could receive it in only seven to 10 days. Discover the difference a top-notch tactical collar can make in your dog training and handling efforts. 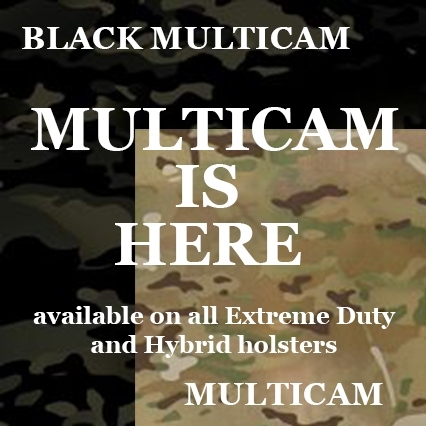 Take a closer look at the K9 tactical collar from High Noon Holsters and place your order today! Don't hesitate to contact our helpful customer service team if you have questions or need assistance.